There are several ways you can import templates in your project. You can insert a panel template between two existing panels in the Thumbnails and Timeline view. You can import a template's layers into a panel by dragging it into the Stage or Camera view or over a panel's thumbnail in the Thumbnails or Timeline view. In the Library view, select a video clip template or a sound clip template. Drag the selected template into the Timeline view, onto the track and at the exact frame where you want the clip to be cued. In the Library view, select a camera movement template. Right-click on the template and select Copy. In the Timeline view, select the scene where you want to import the camera movement. Click on the Camera track. Move the timeline playhead where you want the camera movement to begin. In the top menu, select Edit > Paste Camera Keyframes. The camera keyframes are pasted at the position of the timeline playhead onto the Camera track. In the Library view, select a layer animation template. 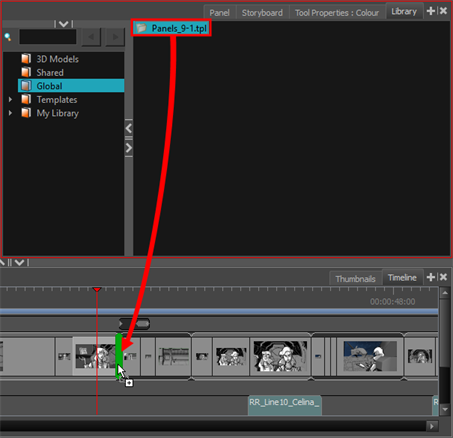 In the Timeline view, select the panel containing the layer on which you want to import animation. 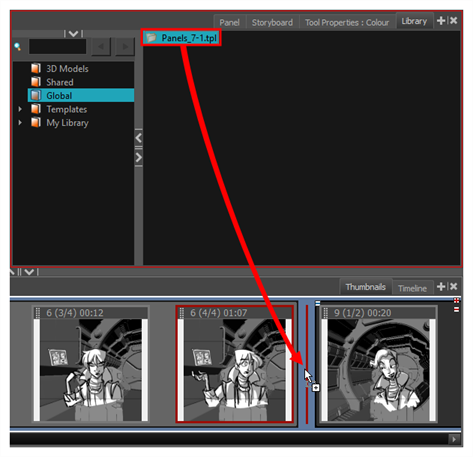 In the Layer panel of the Stage or Camera view, select the layer on which you want to import animation. In the Timeline view, click on the Layer track. 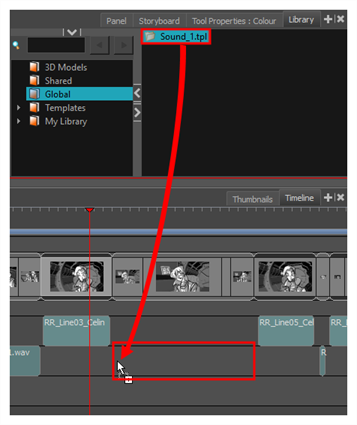 In the top menu, select Edit > Paste Layer Keyframes. 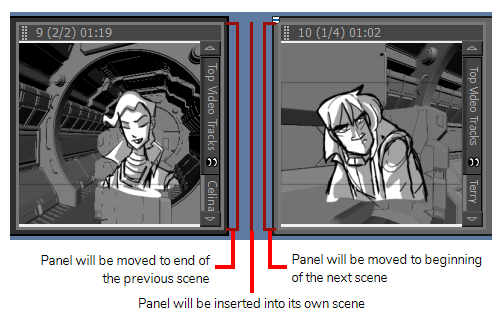 The animation keyframes are pasted at the position of the timeline playhead, onto the layer's animation track.